Hi and Happy Friday! It's kind of weird not to have a Photography Friday post ready but that was a good journey I took myself on. I'm no pro at photography but I will tell you that after a year of having my DSLR, a year of practicing, a year of pinning like crazy and a year of studying I feel like I learned a great deal. I don't know about you but when I got my Canon Rebel I was super duper excited and also super intimidated. I had heard a lot of photography terminology: aperture, ISO, manual mode, shutter speed and lots of other secrets to being a great photographer. It was a bit overwhelming but I assure you, you can learn too! Today's post is to hopefully encourage anyone out there who is starting on their photography journey. 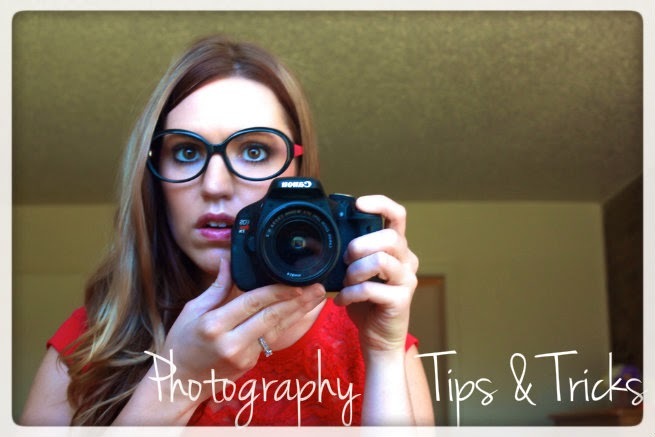 If you are a great photographer, please comment and share some more tips with everyone. 1. Pinterest - I'm telling you Pinterest was my bff. I pinned a ton of stuff and started reading all about shooting in manual mode. For a few months I didn't understand the lingo or grasp all the new concepts but I knew if I kept reading it would eventually click. Guess what? It finally did! I've tried to organize my Pinterest into several boards where they will be of use to others. Photography - Manual and Cameras - This board is to help you start understanding photography terminology as well as helping you grasp the basics of manual mode. Photography - Great Shots - This board is to fill you with ideas of different poses and to help get those creative juices flowing. Photography - iPhone & IG - I love taking pictures with my phone and this board is all about iPhone and Instagram. Photography - Editing- This is my newest board as I am trying to learn Lightroom. I'm hoping to gain tips and tricks to better my editing skills. 2. Classes - I snagged a class on Groupon for Flying Photo School. I took Digital 102 and this class got me shooting in manual mode! The video tutorials were short and sweet but also helped me grasp the concept. Everything you learn is available to print, which is a bonus! I highly recommend taking a class of some sort. 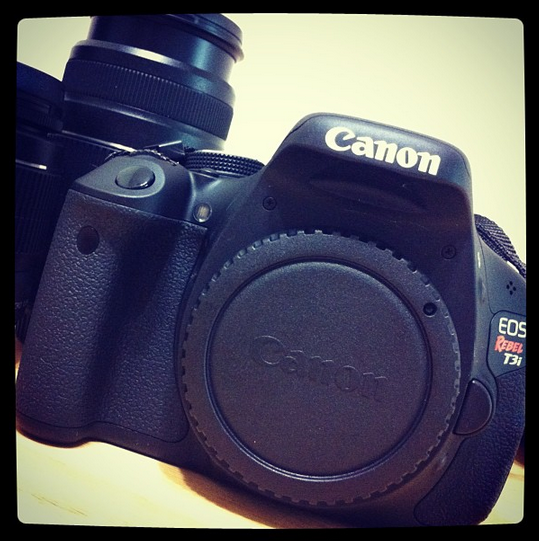 It helped me stay accountable and really taught me manual mode. 3. Click it up a Notch - I'll forever be grateful to Amanda for introducing me to this website. Click it up a Notch has practical and easy to understand tutorials. She is the first person that explained ISO to me where I understood it and she used bumble bees as an explanation. You can see that post here. 1. Lighting - The main thing I learned through the last year and through my 20 week photography challenge is to get good lighting! I can't stress that enough. I used to take food pictures on my table under florescent lighting and I now haul a big white photography box over to my window and take pictures there. It has made a night and day difference. 2. Practice - I know this an obvious one but really make time to practice. Go on a walk and take pictures. If you baked some killer good cookies take a few minutes and photograph them. Practice really does make perfect. 3. Don't always shoot in manual - I know! If you are a photographer you probably want to jump through the screen and tell me how wrong I am. HOWEVER, when you are new to manual mode the last thing you want to miss is capturing a moment, and trust me, I've done it! Sometimes Dave and I would be hiking and I'd be too busy trying to fix my settings that I would miss something. Put it on auto and then if you have time go back to manual. 4. Auto then manual - Sometimes it's just flat out difficult to get the great shot I want in manual mode. What do I do? Well, if I am in the mountains I turn my dial over to the 'landscape' setting, look through the view finder and see what the auto settings are. I'll snap a quick picture in auto and then go back to manual mode and try to replicate the settings I saw. Often times the auto mode gives me an idea of that one element I'm missing and I can then fix it in manual mode and my shots will turn out really good. What helped you start on your photography journey? What tips do you have for someone starting out? iphone photography is really fun! I think sometimes my iphone can capture some moments quicker and easier than my big DSLR. I also think that a lot of photography concepts (taking good pictures) can be implemented using an iPHone. I highly recommend a class! They are fun and informative. Even if you aren't shooting in manual at least you are still out capturing pictures. That, in and of itself, requires some discipline and creativity. These are all good tips! Definitely don't miss the moment because you're fixing the settings. I've done that! It's a huge learning curve, but it's so fun. I very rarely use full auto now. You can just do so much more with manual. I'm glad you got Lightroom. It does make a huge difference when you can edit photos and such. Good for you! Summer is a great time to start photography because there is so much light! I'm glad the post and pins were helpful. I've heard shooting in RAW is better but I haven't made that switch yet because I'm scared my computer will run out of memory. I haven't used aperture mode in a long time but I can definitely see why that would be a go to setting! I rarely use auto either. It's just more fun and better in manual mode. Do you use LR or PS? I'm still learning LR but it's been fun so far. I totally agree with all these! You are right. I know I've missed some good pictures because it felt awkward!